Dundee-Crown Head Coach Sarah Miller yells to her players Monday, Feb. 20, 2017, during the Class 4A Hampshire Sectional girls basketball semifinal against Rockford Boylan. Rockford Boylan won 47-37. 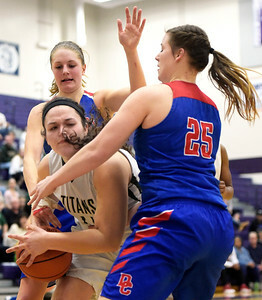 Dundee-Crown seniors Allison Michalski, right, and Paige Gieseke, back, fight for the ball Monday, Feb. 20, 2017, with Rockford Boylan senior Bridget Bishop during the class 4A sectional semifinal at Hampshire High School. Rockford Boylan won 47-37. 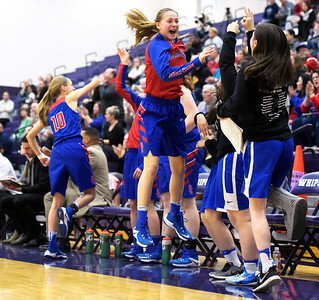 Allison Michalski scores a basket Monday, Feb. 20, 2017, during the class 4A girls basketball section semifinal game against Rockford Boylan at Hampshire High School. Michalski scored 26 of team's 47. 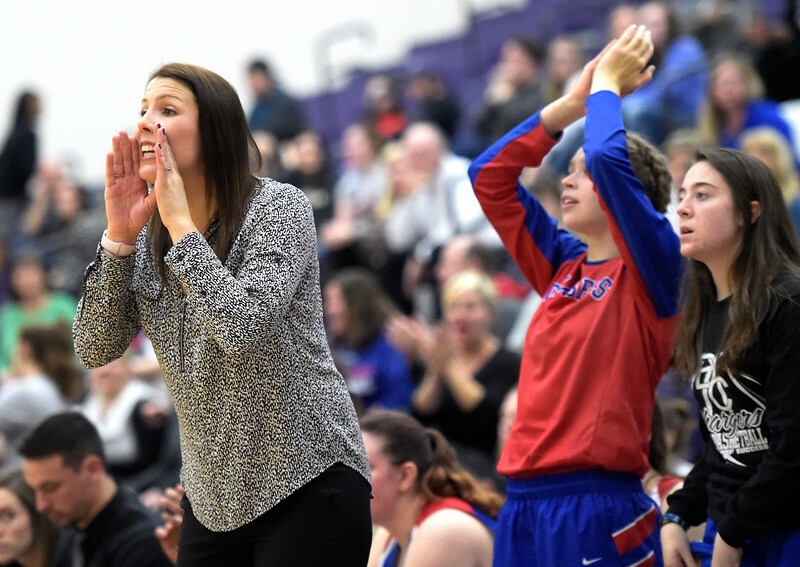 Dundee-Crown freshman Cassidy Randl (cq) cheers after teammate Allison Michalski, not pictured, scores a basket Monday, Feb. 20, 2017, during the class 4A Hampshire Sectional semifinal against Rockford Boylan. Rockford Boylan won 47-37. 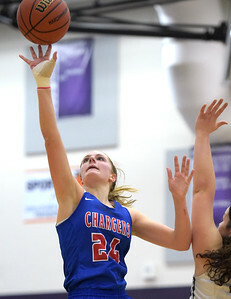 Dundee-Crown senior Paige Gieseke goes up for a basket Monday, Feb. 20, 2017, during the class 4A sectional semifinal against Rockford Boylan at Hampshire High School. The Chargers lost 47-37 and finished their season with a 19-12 record. 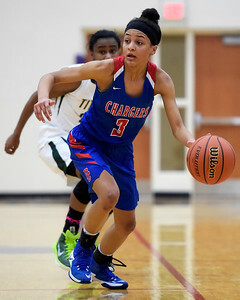 Dundee-Crown junior Kennedy White dribbles down the court after stealing the ball from Rockford Boylan junior McKenzie Brown Monday, Feb. 20 during the Class 4A Hampshire Sectional girls basketball semifinal. Rockford Boylan won 47-37. 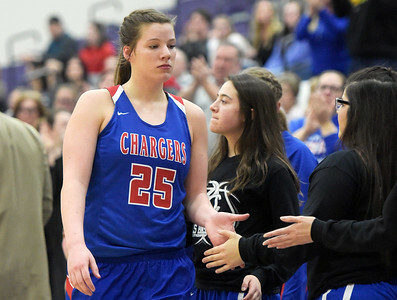 Dundee-Crown senior Allison Michalski high-fives teammates Monday, Feb. 20, 2017, after fouling out of the class 4A sectional semifinal against Rockford Boylan at Hampshire High School. 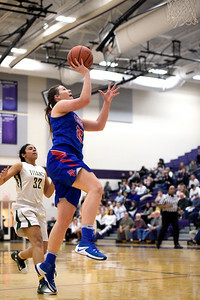 Michalski scored 26 of team's 47. 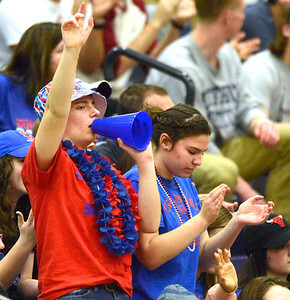 Dundee-Crown freshman Alaina Azar cheers for the Lady Chargers Monday, Feb. 20, 2017, during the class 4A Hampshire Sectional girls basketball semifinal featuring Dundee-Crown against Rockford Boylan. The Chargers lost 47-37 and finished their season with a 19-12 record.